I think this is a basic question. We already have a OSD server but we want to add a new one OSD server. I am not sure what account i should use. This will actually be your own account, so it can be whatever you want. Just be sure to document it somewhere like a password vault. This account is local to the OSD server and not tied to AD. 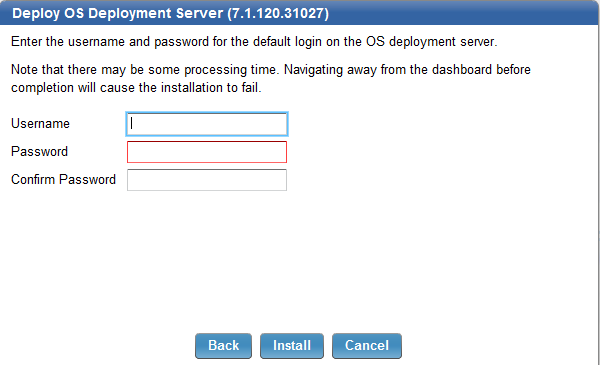 Think of like a back door/initial admin login for the OSD servers Web Interface. Typically you will never use the Web Interface unless support asks you to do so.